I have been on the hunt to find the perfect drugstore mascara for so long. I have been trying and testing a theoretically large amount of mascaras and since I haven't found one I adore, this means one thing - the search continues. 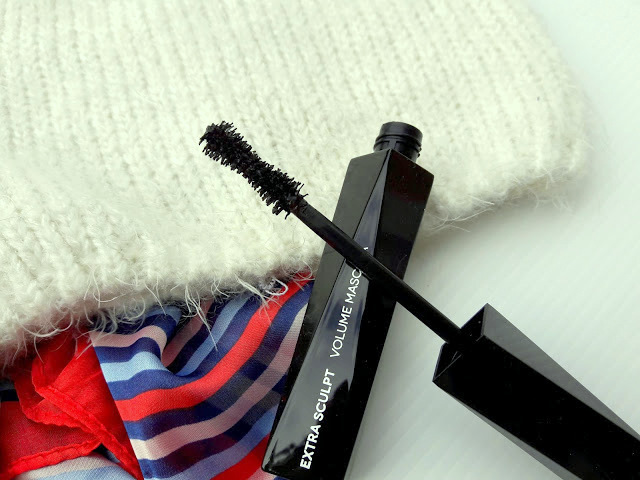 Today I will talk about the Kiko Extra Sculpt Volume Mascara and how it performed on my lashes. 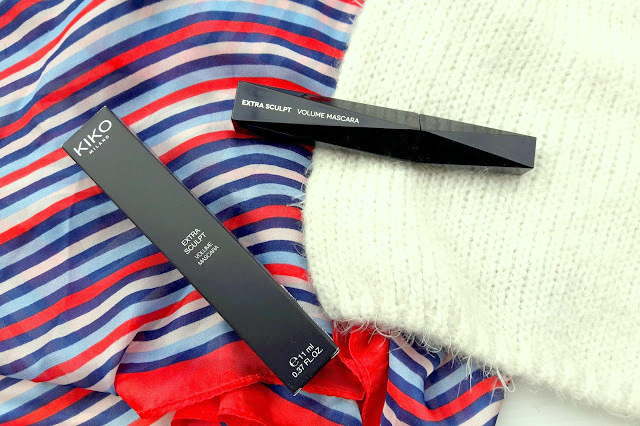 I haven't tried a mascara from Kiko before and when I placed my order one rainy Friday night, I thought 'what the heck' and added this one in the cart too. The packaging is modern and has a unique design. The brush is an hourglass shape which I never experienced before in a mascara. It looks that application would be difficult when using a brush like this but it is not. Application is easy as 1-2-3 and the brush reaches even the smaller lashes due to its shape. 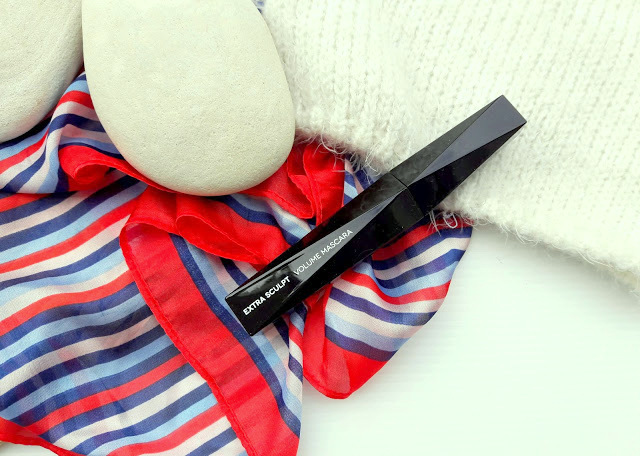 The formula is thick, creamy and black and definitely colours the lashes in a brilliant way, but that's it. 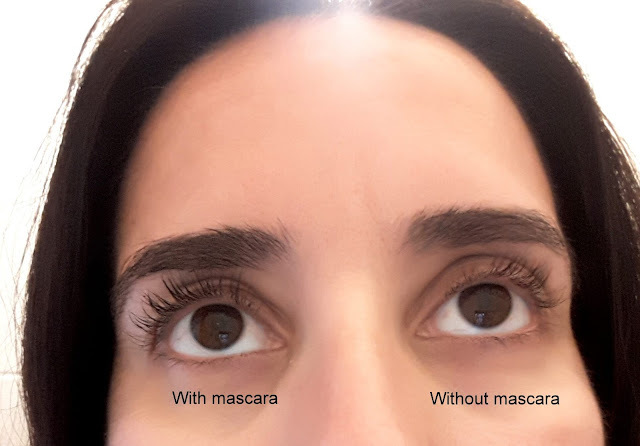 No 'panoramic' lashes (Kiko promises to give panoramic effect when using this mascara), no great volume, no great length. My lashes look separated and black, but I expected a great volume and that never happened. Is it so difficult for companies to produce a mascara that offers both volume and length and 'beautify' our lashes? I would also prefer a not so thick formula because when I apply it I see tiny little clamps on my lashes. So a watery formula would be great and would be applied even better. I have been using this mascara daily and it's ok. It is definitely an every day mascara that gives enough volume and length for a minimal makeup but nothing great. To achieve the look in this picture, I probably used 7-8 coats! Other drugstore mascaras do the same with just 2-3 coats so I am a little disappointed. 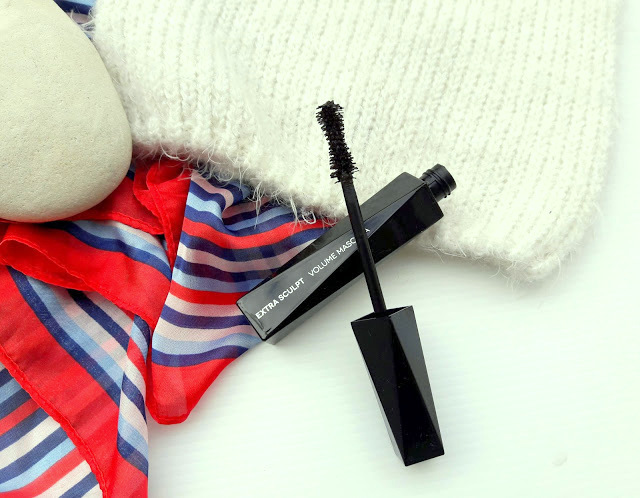 This mascara has both great and not so great reviews on the blogosphere but I guess that depends on two things; what you are looking for when purchasing a mascara and the condition and length of your own lashes. But if you are looking for an affordable mascara that will give some length and volume for every day use, this one will do the job. Do you have a drugstore mascara to recommend?